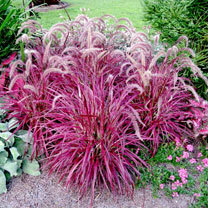 This Fountain Grass is refreshingly different for summer patio displays and borders. 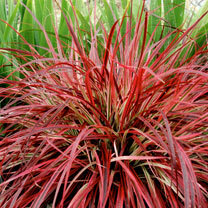 The grassy foliage is full of colours from red and cream to purple! 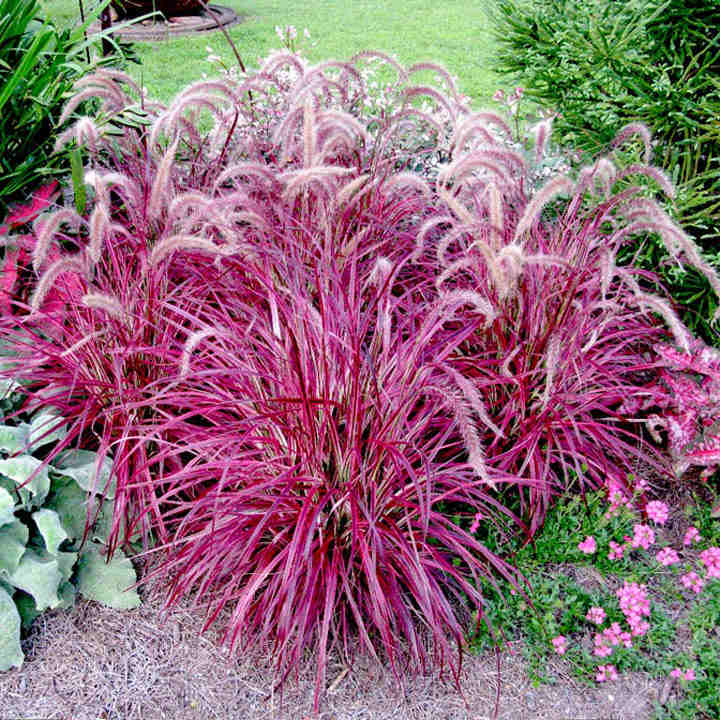 This stunning display is further enhanced by purple feathered flowerheads during the summer. Flowers July-October. Height 80-90cm (32-36"); spread 50-60cm (20-24"). Simply stunning as it ripples in the breeze! Ideal for beds and borders, patio pots and containers. Suitable for cutting and drying. Prefers full sun.